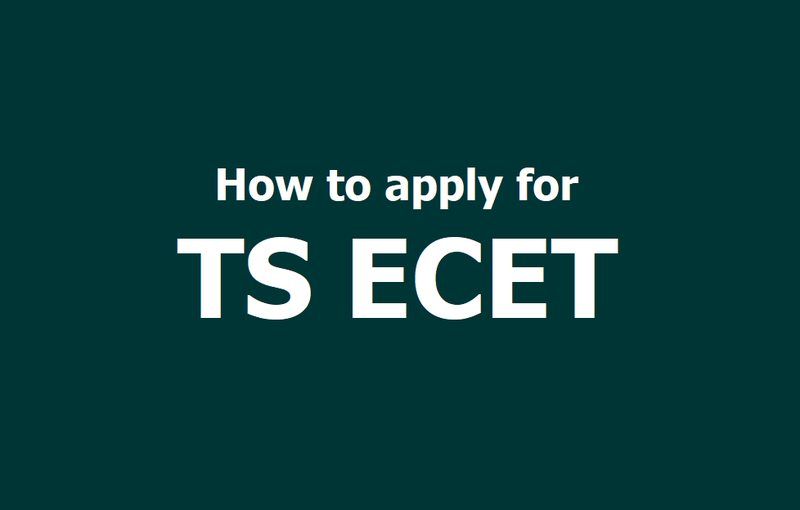 How to apply for TS ECET 2019, Submit Online Application form till April 30: TSCHE has released the Telangana State Engineering Common Entrance Test (ECET) Notification and applications are inviting from the eligible candidates. TS ECET Entrance examinations would be held on May 11 and last date to submission online application form is April 8. A Common Entrance Test designated in full as Engineering Common Entrance Test for Diploma Holders and for B.Sc. (Mathematics) Degree Holders and in short as TS ECET [FDH & B.Sc. (Mathematics)] - 2019 will be conducted by JNT University Hyderabad on behalf of the Telangana State Council of Higher Education for the academic year 2019-2020 for Diploma Holders and for B.Sc. (Mathematics) Degree Holders. a. For lateral admission through Common Entrance Test into 2nd year regular B.E/B.Tech Courses in both University and Private Un-aided Professional Institutions (Minority & Non-Minority ) approved by All India Council for Technical Education. b. For lateral admission through Common Entrance Test into 2nd year B. Pharmacy Course in both University and Private Un-aided Professional Institutions (Minority & Non-Minority ) approved by Pharmacy Council of India.